Registration will start at 4.30 pm on Thursday, August 25, 2011 at the Senate Hall of the Kazimierzowski Palace . The Palace is located at the main campus of the University of Warsaw at Krakowskie Przedmiescie street 26/28 (see map). The special pre-conference Maria Skłodowska-Curie session will start at 5.30 pm in the Senate Hall and it will be followed at 7 pm by a welcome reception, also in the Senate Hall. The conference will be held in the historical Old Library Building at the main campus of the University of Warsaw, Krakowskie Przedmiescie street 26/28 (see map). Plenary sessions will take place in the Main Lecture Hall. Parallel sessions will be held Rooms 107 and 207 in the same building. The meeting starts at 9 am on Friday, August 26 (registration resumes at 8 am) and concludes at 4.30 pm on Monday, August 29. Lunch for the participants of the conference will be served on site every day. 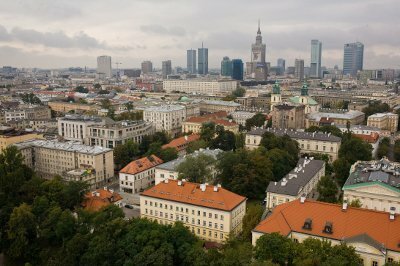 How to reach the main campus of the University of Warsaw from the Frederic Chopin airport by public transportation? The best way is to take a bus 175 from the airport. Bus tickets are available from bus drivers (exact amount in cash is needed) or from vending machines at bus stops. Price for a 40 minutes time-limit ticket is 3.80 zloty. It entitles to as many changes of lines as necessary within 40 min, trip to the Central Railway Station (located at the city center) takes about 24 min. Don't forget to validate ticket inside a bus. Your final stop is Uniwersytet (33 min from the Terminal 2 at the airport).